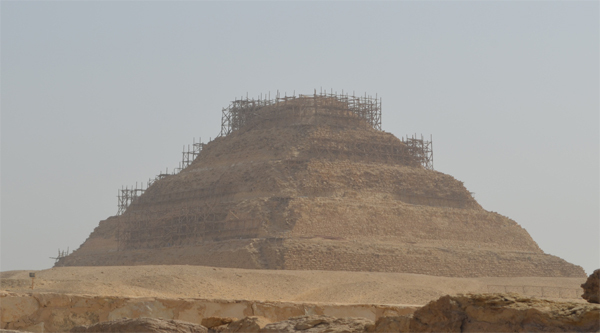 The pyramid complex of Pepi I is located in South Saqqara, not far from that of Djedkare. 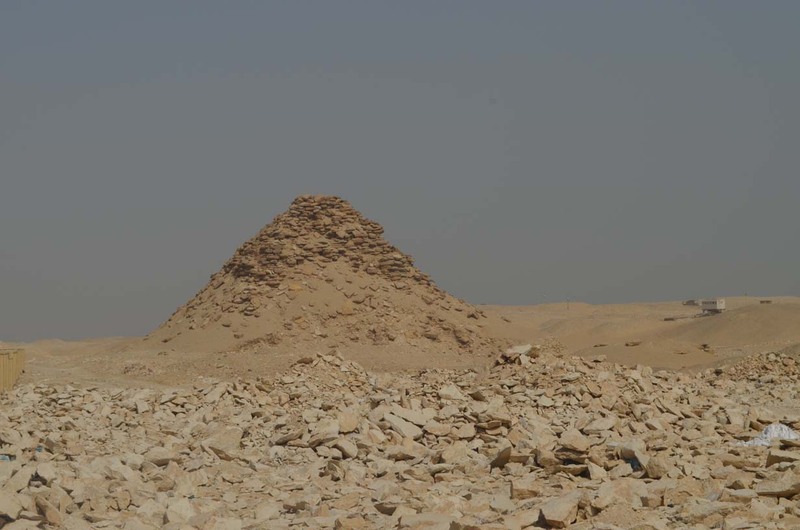 Research there carried out by a French Archaeological expedition made a surprising discovery in the area around the king's pyramid of six small pyramid complexes of the wives of Pepi I. 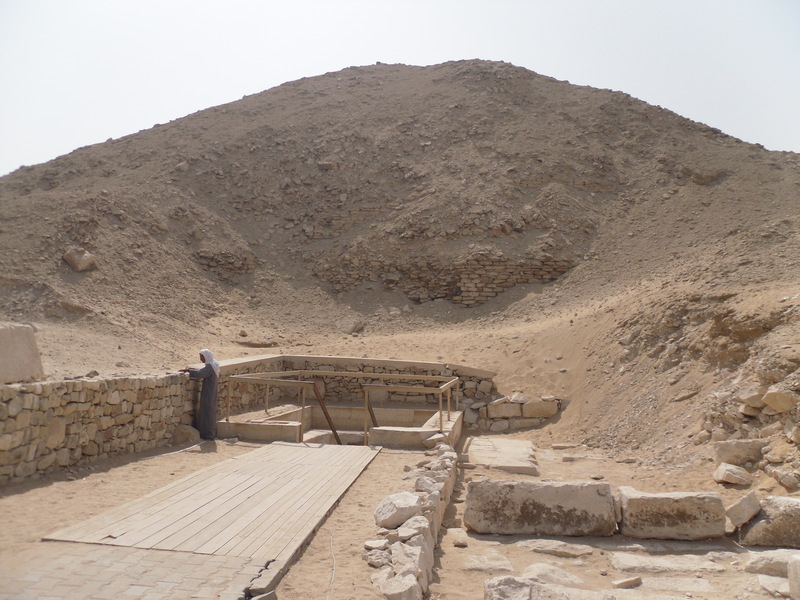 The pyramid contains many Pyramid texts not mentioned in the pyramid of Unas. 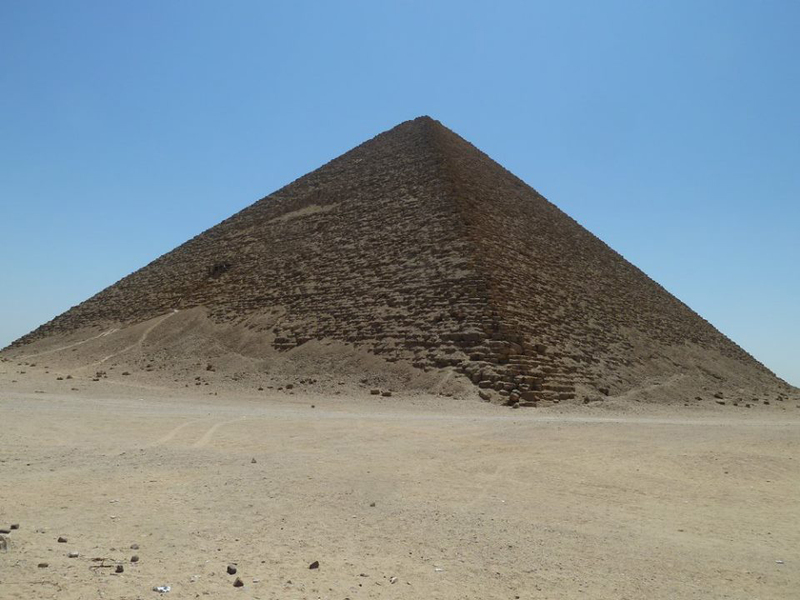 The Pyramid texts were first discovered by Maspero in 1881 in this pyramid. 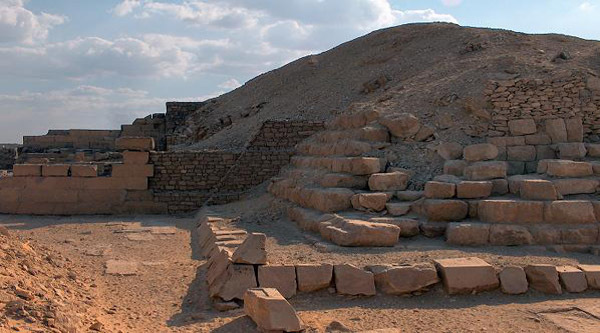 Before it was believed that walls of pyramids are empty. 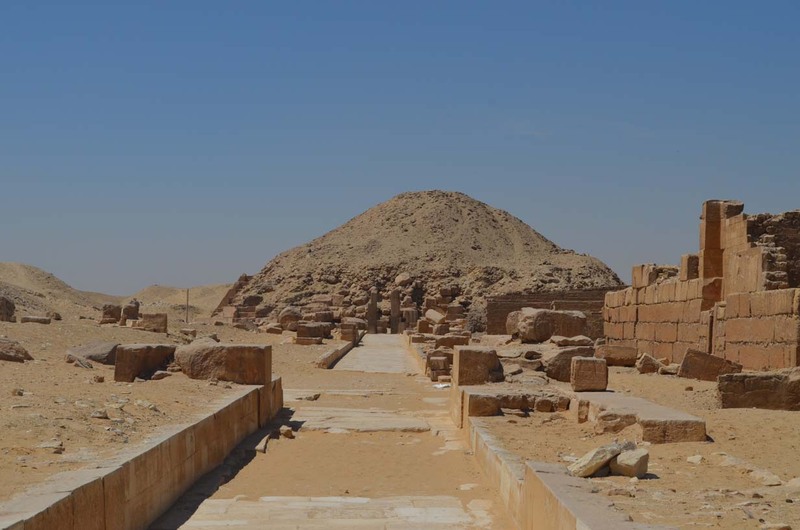 The funerary temple of Pepi I, which French team excavated at South Saqqara, is still well preserved in some sections, but many of kneeling prisoners with their arms tied behind them have been reduces to fragments. 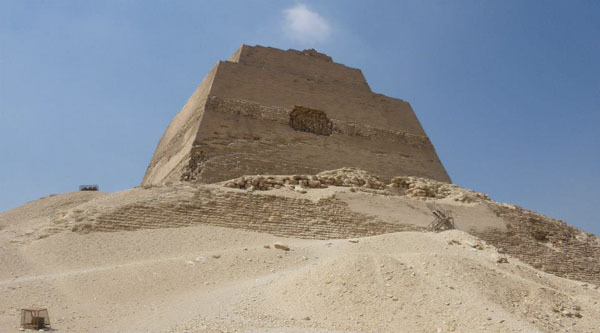 Pepi's pyramid which was fifty meters high and therefore easily visible from the Nile Valley, was called Men-nefer-pepi (Pepi is stable and perfect). 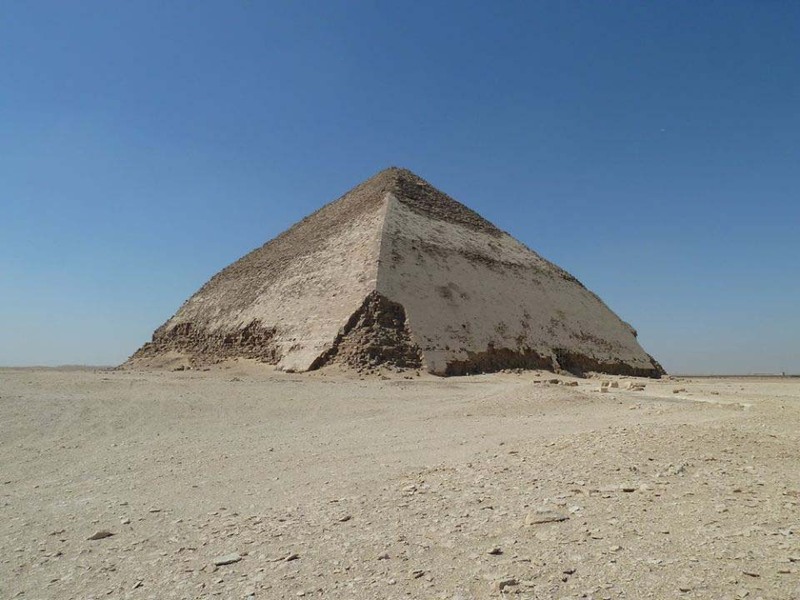 Only 12 meters of the pyramid's height remain, but it has been possibly to clear its entire perimeter, the sides of which measure a little more than seventy-five meters. 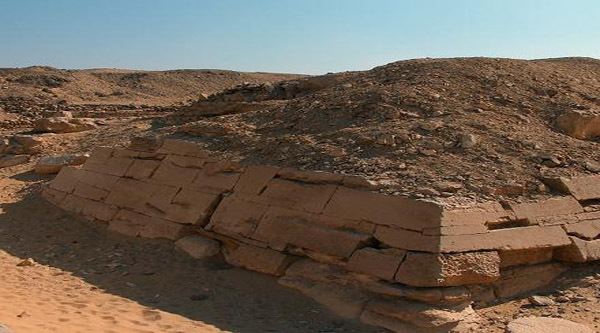 During the excavation of the burial chamber, more than 3 000 fragments of various sizes were collected, and these were used to reconstruct the walls at the site. The magnificently carved, finely chiseled hieroglyphs often preserved e, in its first freshness, their original green paint - an enternally fertile green, the color of the young shoots that ceaselessly revitalize the Nile Valley. The sarcophagus itself had been broken into, but at its head a granite chest contained the canopic vases holding the remains of the viscera, which were carefully swathed in fine linen bandages.